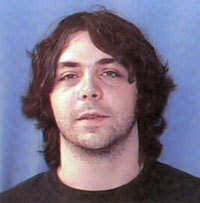 Wesley Neal Higdon, 25, who killed five people and then died by suicide in a "rampage" at the Atlantis Plastics injection molding manufacturing facility in Henderson, Kentucky, called his girlfriend two hours before the shootings to warn her that he was going to kill his boss, police told the media on June 25, 2008. Henderson is a city located in Henderson County, along the Ohio River in Western Kentucky. It was called "Red Banks" by the native Americans who originally lived and hunted there because of the reddish clay soil on the banks of the river. For more than 100 years the city has been home to the Southern Cherokee Nation. Henderson's roots lie in a scheme by a North Carolina judge, Colonel Richard Henderson, and a group of investors who sought to buy much of modern-day Kentucky and Tennessee from 1,200 Cherokee Indians gathered at Sycamore Shoals (located at present day Elizabethton, Tennessee) and later resell these frontier lands to settlers. Among Henderson's many famous residents was John James Audubon, a naturalist who lived in the town in the early 1800s. Displayed throughout Henderson are sculptures of several of his paintings from the "Double Elephant Folio" published in The Birds of America. The sculptures were designed by Raymond Graf, for the City of Henderson, in 2002 and 2003. They are located at various areas in the Henderson downtown district. Henderson, a quiet town of 28,000 people, was in shock from the shootings. Police said Wesley Higdon of Henderson had an argument with his supervisor about wearing safety goggles and using his cell phone while was at his press machine on Tuesday, June 24, 2008. Later that night, as the supervisor escorted him from the building, Higdon shot him, apparently using a .45-caliber pistol he kept in his car. Then, he charged into a break room and the plant floor and kept shooting before turning the gun on himself, police said. "He just walked in, looked like he meant business, and started shooting at everybody," Henderson Police Sgt. John Nevels said at a news conference. A man who called 911 frantically described the violent scene to a dispatcher, tallying up the number of dead around him. The killings stunned the sleepy Ohio River town of about 28,000 people, where a local leader said many residents know or are related to a worker at the plant. The plant, operated by Atlanta-based Atlantis plastics, employs about 150 people and makes parts for refrigerators and plastic siding for homes. Henderson County Coroner Bruce Farmer identified the supervisor as Kevin G. Taylor, 30, of Dixon. The slain co-workers were Trisha Mirelez, 25; Rachael Vasquez, 26 and Joshua Hinojosa, 28, all of Sebree; and Israel Monroy, 29, of Henderson. Shooting survivor Noelia Monroy, Israel's sister, was hospitalized in nearby Evansville, Ind. Employees at the company were sent home early Wednesday, but the company said that it hoped to resume limited operations at night. Atlantis Plastics CEO Bud Philbrook told The Associated Press in an interview in Atlanta that the company was reeling. Investigators were trying to piece together the timing of the shooting spree. Philbrook said that Higdon didn't appear to have any previously disciplinary problems at the plant. Nevels said family members told detectives that Higdon kept a .45 caliber pistol in his car almost all the time, which is permissible in Kentucky. Four of the victims were members of St. Michael's Catholic Church in Sebree, Ky., said the Rev. Jason McClure, who had spent much of the morning with the victims' families. One of the myths that is quickly overturned in any good suicide prevention program is that "talking about suicide causes suicide." I repeat, that's a myth. Indeed, the suicide individual, whether youth or elderly, is literally dying to have someone talk to them about their pain and their thoughts of suicide. It is already "inside" of them. People want to live, and yet infrequently feel the "only way out" of their pain is by dying. The copycat factor comes into play to reinforce the notion that it is the only option open, when it is presented specifically, repeatedly, and impersonally by the media, without protective factors. Unfortunately, in a new article, "Suicide Sensitivity" by Rob Capriccioso, in Indian Times for June 18, 2008, the wrong message seems to have taken hold among my Rosebud Sioux brothers and sisters - or so seems the case from the reporter's story. First of all, Capriccioso breaks every rule in terms of media guidelines for writing about suicide when he pens this sentence: "And the tribe's own law enforcement officials have kept track of several recent cases where suicide attempts within the reservation's small population have been successful. " Suicides are not "successful," in the same way we want our youth to "succeed" in sports, school, work, and relationships. It has been shown that modeling behavior through writing that suicides have a "successful" goal is the incorrect signal to young people, especially among males who make up 4 out of 5 of the deaths by suicides. This tells me Capriccioso might be the source of what comes next, not the Indians. In some respects, members of the tribe said, all of the attention on suicide has actually glorified the act for some. Many young people are hurting inside, and they're desperately seeking attention - even if that attention comes in the form of an emergency response to a drug overdose or a slit to the wrist. Tribal leaders are weary of the increased visibility of suicide on the reservation, and they do not want to see it glorified. Bordeaux, in fact, recently requested that IHS obtain his permission before allowing its officials to talk about their efforts to combat suicide at Rosebud. And IHS has followed his request. He added that it is quite rare for IHS to have hashed out such an arrangement. No, no, no! Talking about suicide does not cause it. Ignoring it does. But graphically and irresponsibly writing about it does have a negative impact. The mechanism behind copycat suicides is the graphic glorification of suicides by discussing the exact details of the act - like printing the imagery of someone slitting their wrists, as was done by Capriccioso in his article. If the Rosebud Sioux Tribe are confusing the two - or if this is just a badly written article mixing the two - something needs to be done to straighten this situation out. Someone isn't "getting it." Frankly, I don't think it is the Rosebud Sioux. Robert Stamps, 58 (his wife said he was 57), one of the 13 students shot on the Kent State University campus by the National Guard on May 4, 1970, died Wednesday, June 11, 2008. Stamps, who passed away in Madison just east of Tallahassee, was an observer sympathetic to the anti-war protests the day of the shootings and was shot in the buttocks while fleeing the tear gas gunfire. Alan Canfora, another of the shot students who now runs Kent's May 4 Center, said Stamps had protested other times and always believed the Guard shooters should be tried for murder. Stamps died of pneumonia, according to an e-mail his wife Teresa Sumrall sent to friends. Canfora said Stamps had contracted Lyme disease years ago at a May 4 event at Mohican State Park and had been bedridden with it the last few years. He was the second of the nine students injured that day to die. James Russell, the oldest of the nine, died at his Oregon home last year at the age of 60. After the shootings, Stamps graduated with degrees in sociology and Spanish. He lived for a while in Lakewood as an author and college teacher. Canfora said Stamps moved several times between Ohio, California and Florida, and frequently returned to the Kent campus for May 4 remembrances. "It helps and it hurts," Stamps told The Plain Dealer at one of those events in 2000. "It heals old stuff and brings up old stuff at the same time." Just a year ago, when students shot in the incident spoke against the current war in Iraq, Stamps told The Plain Dealer that his illness was "the only thing stopping me from actively going around to college campuses, protesting and talking to people about the war." Killed that day were students Allison Krause, Jeffrey Miller, Sandra Scheuer and William Schroeder. Scheuer and Schroeder were passers-by. Canfora said Stamps rode to the hospital in the same ambulance as Krause before joining him in a waiting room, where they learned students had died. In addition to Stamps, Canfora and Russell, the wounded students were John Cleary, Thomas Grace, Dean Kahler, Joseph Lewis, Donald MacKenzie, James Russell and Douglas Wrentmore. A private ceremony was set for Monday. Another ceremony is set for July in San Diego, Calif. In three separate incidents in Texas, Pennsylvania, and Colorado, stabbings at or near Wal-Marts have been in the news this week. The timing may be by chance or related to the Akihabara district stabbing spree in downtown Tokyo, which left seven dead last Sunday, June 8th. A Wal-Mart employee was arrested after he allegedly stabbed a teenage customer inside a Pearland, Texas store, Houston's KPRC Local 2 reported. Pearland police said the stabbing happened at the Wal-Mart in the 1700 block of East Broadway in Pearland, Brazoria County, at about 10:15 p.m. Wednesday, June 11, 2008. Investigators said a 16-year-old male customer got into an argument with the employee over a girl. The teen got upset and punched the employee, detectives said. The employee, 18-year-old Ray Canales, became enraged, pulled out a pocketknife and allegedly stabbed the customer five times about the upper back and face. The victim was taken by helicopter to Memorial Hermann Hospital in serious but stable condition. Meanwhile, the Hanover, Pennsylvania Evening Sun reported Velda C. Stonesifer, 32, was stabbed nine times, near the Gettysburg Wal-Mart off Shealer Road, around 10 p.m.on Wednesday night, June 11, 2008. Michael E. Crum, 31, allegedly stabbed his girlfriend nine times during an argument, according to Trooper Curtis Whitmoyer, who led the investigation. On Monday, June 9, 2008, the Colorado media reported a teenager was arrested in Fort Collins, who was also allegedly linked to three attacks, including a stabbing at a Wal-Mart. Police arrested the 17-year-old at the Wal-Mart Supercenter at 1250 E. Magnolia Street, in Fort Collins, Colorado, after they reported a 20-year-old man, Frank McConnell, of Ault, was stabbed in his abdomen. Police believe the suspect may be the same person who assaulted another man and harassed a cyclist earlier in the day during a series of random attacks. These three Wal-Mart-related stabbing incidents were found through a quick survey of news sources. There may be other Wal-Mart stabbings this week, which have been unreported or underreported by the media. As of 2005, Wal-Mart had 3,800 stores in the United States and 2,800 elsewhere in the world. Wal-Mart Stores, Inc. is an American public corporation that runs a chain of large, discount department stores. It is the world's largest public corporation by revenue and the world's largest private employer, according to the 2008 Fortune Global 500. The major graphic events occurring in The Happening are massive waves of suicides. This new film by M. Night Shyamalan is so very obvious in its opening date of Friday the 13th of June. It is, according to a promo release, "a paranormal thriller in which a family must survive a global environmental crisis. The film will portray the earth's vegetation unleashing airborne neurotoxins that cause all those who breathe it to commit violent suicide." Perhaps Mr. Shyamalan should have consulted a few studies on the role of graphic depictions of suicides in the visual media before he considered this motion picture? The Minneapolis Star-Tribune said it well in their headline for June 12, 2008: "'The Happening' should never have happened". In an opening of Hitchcockian suspense, pedestrians in New York's Central Park become disoriented and halt in their tracks, then begin acting in bizarre, self-destructive ways. The effect is almost punctured by an onlooker's awkward dialogue ("Are those people clawing at themselves? That looks like blood! "), but a sequence at a nearby building site where construction workers leap to their death evokes grim memories of 9/11. The "event" initially is considered a terrorist attack, but as more and more neuro-toxin outbreaks are reported, it becomes clear that something else is at work. As the film progresses, we're subjected to dozens of grisly deaths, most shockingly a man wandering into the lion exhibit at the Philadelphia Zoo. This depiction bizarrely mirrors the fatal attack at the San Francisco Zoo last Christmas, when a young man, Carlos Sousa Jr., was killed by a tiger, allegedly having been taunted, perhaps parasuicidally, by Sousa and his two friends, the Dhaliwal brothers. The twist ending that was a fixture of earlier Shyamalan films is absent here. In fact, there's hardly a finale at all, merely a lazy coda that brings the situation full circle. "The Happening" never should have happened. My worry is that M. Night Shyamalan has taunted death, not for himself, but for others, by making this film. He is guilty of placing fatal imagery of suicides out there, unnecessarily. For those familiar with my book, you will understand this is not a call for censorship. There has been a stabbing spree in the Akihabara, a video game and robotics district of downtown Tokyo, on Sunday. CNN/AP is reporting that a man used a rented van to run over a group of people, and then jumped out and stabbed 18, killing at least 7, in this special video game district of Tokyo. This occurred, local Japanese time, on Sunday afternoon, June 8, 2008, according to a Tokyo fire official. The dead included six men, ranging in age from 19 to 74, - one may have died of a heart attack - and a 21-year-old woman, according to a Tokyo metropolitan police officer. Eleven others were wounded, police said, with two critically injured. "The suspect told police that he came to Akihabara to kill people," Jiro Akaogi, a spokesman for the Tokyo Metropolitan Police Department, told The Associated Press. "He said he was tired of life. He said he was sick of everything," Akaogi added. Japanese media reported that the suspect told investigators he was 25 years old. He was later identified as Tomohiro Kato. Nearly 20 ambulances rushed to the scene, with television footage showing rescue workers tending to victims in the street. The attack comes seven years to the day that a man entered an elementary school in Osaka in western Japan and killed eight children with a knife. The attacker, Mamoru Takuma, was executed in 2004 for the crime. On September 8, 1999, a man killed two shoppers and injured others in a stabbing spree in the Ikebukuro area of Tokyo. In January 2008, a high school student injured two with a knife on a shopping street in Tokyo. In March 2008, a man wanted by police on suspicion of murder stabbed and killed a woman and injured 7 others in a shopping mall in Ibaraki, north of Tokyo. The Akihabara district, where the attack took place, specializes in electronic gadgets and video games and is popular with people interested in comic books and distinctive fashion. The Akihabara is a major shopping area for electronic, computer, anime, and otaku goods, including new and used items. New items are mostly to be found on the main street, Chūōdōri, with many kinds of used items found in the back streets of Soto Kanda 3-chōme. First-hand parts for PC-building are readily available from a variety of stores. Tools, electrical parts, wires, microsized cameras and similar items are found in the cramped passageways of Soto Kanda 1-chōme (near the station). Akihabara gained some fame through being home to one of the first stores devoted to personal robots and robotics. Forty years ago, the world was young and innocent. Then, in 1968, an incredible stretch of assassinations and assassination attempts began in April, and came to an apex during this week in June. The victims were so young. The heart of the youth movement was assaulted. Everyone recalls MLK and RFK, but they were not the only ones. Have you ever noticed the ages of the victims? Martin Luther King, Jr., 39, was assassinated on April 4, 1968, in Memphis, Tennessee. King was shot on the 4th of April, while standing on the 2nd floor balcony, near his room 306 at the Lorraine Motel in Memphis. On April 7, 1968, Black Panther Bobby Hutton, 18, who held the title of the Minister of Defense, was killed by police during a firefight. Eldridge Cleaver was wounded in the shootout. Two policemen were shot in the incident. Rudi Dutschke (born Alfred Willi Rudi Dutschke) was the most prominent spokesperson of the left-wing German student movement of the 1960s. On April 11, 1968, Dutschke, when 28 years old, was shot in the head by Josef Bachmann, and lived for another 12 years with severe assassination attempt-related health problems. He died on December 24, 1979 in Aarhus, Denmark, when he had an epileptic seizure while in his bathtub and drowned. On June 3, 1968, Andy Warhol, at the age of 39, while in his New York loft, was shot by frustrated writer, Factory-hanger-on Valerie Solanas. The Pop Art guru barely survived the shooting, became more reclusive, and would face physical repercussions from the assassination attempt until his death in 1987. On June 4, 1968, presidential candidate Senator Robert F. Kennedy, 42, had just scored a major victory from winning the California Democratic primary. He addressed his supporters in the early morning hours of June 5, 1968, in a ballroom at the Ambassador Hotel in Los Angeles. He left the ballroom through a service area to walk through and greet supporters working in the hotel's kitchen. In a crowded kitchen passageway, Sirhan Bishara Sirhan, a 24-year-old Palestinian, opened fire with a .22 caliber revolver and shot Kennedy in the head at close range. 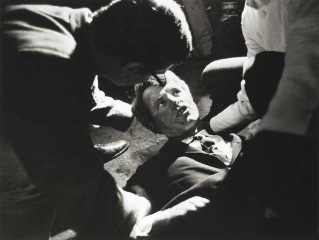 Following the shooting, Kennedy was rushed to The Good Samaritan Hospital where he died the next day, June 6th. Radical leaders of a generation had been systematically gunned down. Then things grew very quiet. What is the most prominent "cultural" assassination after the ones above? Would that have been John Lennon, who was killed on December 8, 1980, as he was emerging from his self-imposed retirement from 1976-1980? Lennon was shot four times in the back in the entrance hallway of the Dakota by The Catcher in the Rye-obsessed, former security guard Mark David Chapman. 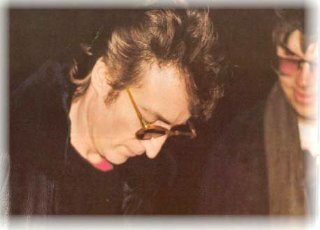 Lennon had autographed a copy of Double Fantasy for Chapman earlier that same night. Who killed the Youth Movement in 1968? More about these events can be found at The Copycat Effect blog, plus specifically at Sirhan: "RFK Must Die" and Assassination Copycats.